Banff and Jasper National Parks are two of the most visited National Parks in the world! Both parks feature spectacular mountain scenery, along with a huge variety of trails and activities. Whether you are visiting in a trailer, motorhome, or van, camper travel in Banff and Jasper has its own set of rules and challenges! This is the first post in a series I’ll be writing all about camper travel in Banff and Jasper. This first post covers getting around, which we actually found to be far more challenging than we ever expected! Both Banff and Jasper National Parks experience very high visitor volume throughout the year, and especially in spring, summer, and fall. The national parks have a lot of regulations in place to manage the traffic with so many visitors, and often these regulations specifically target RV’s (keep in mind truck campers and camper vans are considered RV’s in Banff/Jasper, so these rules apply to the vast majority of campers). 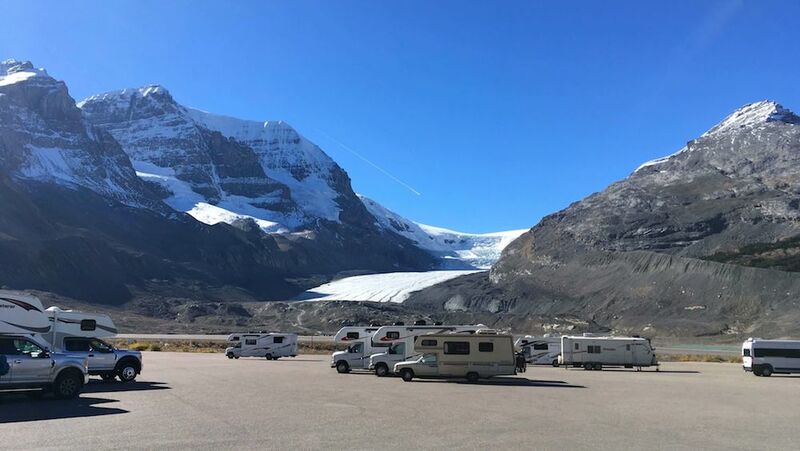 In the actual towns of Banff and Jasper there are designated RV parking lots, and RV’s are not allowed in the regular car lots, even if your RV is small enough to fit in a space in the regular lot! We highly recommend stopping in at the first visitor center you see and picking up a free “RV Parking Banff” or “RV Parking Jasper” brochure. 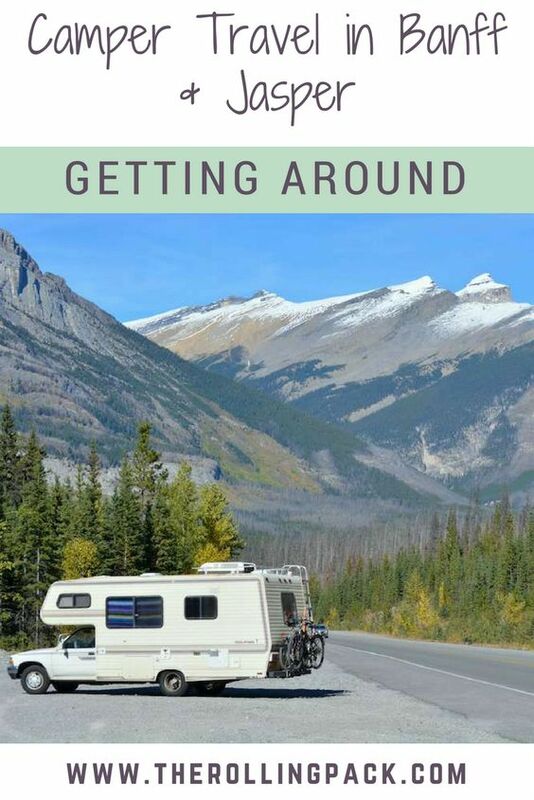 This brochure includes a map with all of the RV parking areas in Banff, and is absolutely invaluable to getting around the area. There are a few sites in Banff, particularly in the Lake Louise area, that are not accessible by RV at all. Unfortunately, the signs and brochures do a very poor job of advertising this fact, and we found out the hard way by trying to drive to one of these sites and getting turned around. For example, Lake Moraine, one of the most scenic spots in the rockies, is inaccessible to RVs. We drove all the way out to the site only to be told we would not be allowed to park, and that we would have to park about 15 miles away in the Lake Louise overflow lot, where we would need to catch a shuttle in order to visit Moraine Lake. There were no signs indicating this, so here’s a heads up: do not attempt to drive to Moraine Lake in your camper! Lake Louise is very close to Moraine Lake, and while there is a designated RV parking area near Lake Louise, it is small and always full. The same shuttle that will take you to Moraine Lake also stops at Lake Louise, and is probably a much less stressful way to visit the area. When you stop in at the visitor center take a moment to speak with a representative about RV travel throughout the park. 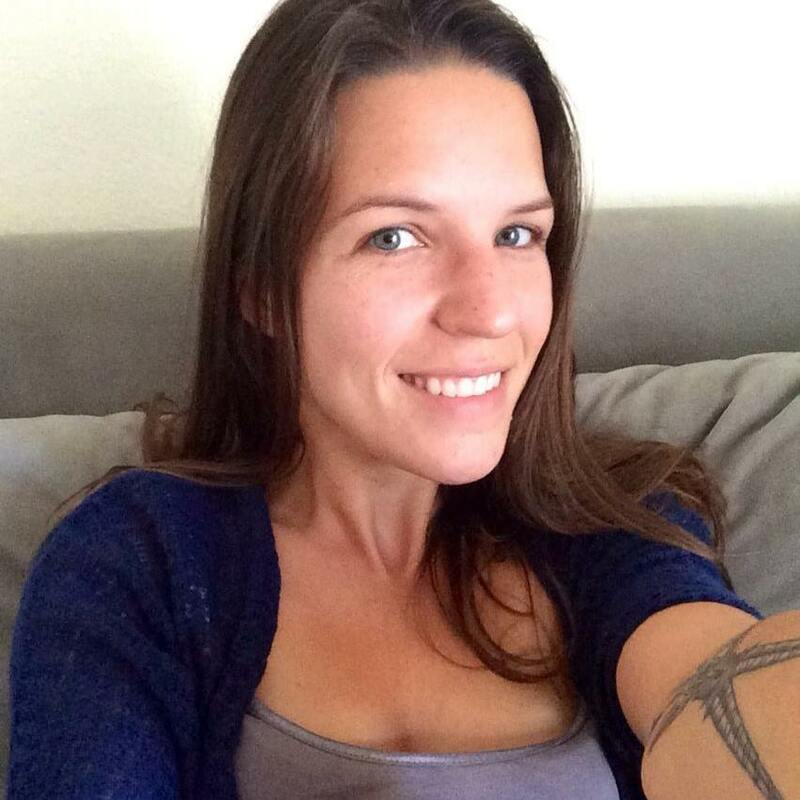 Ask which sites you can visit in your RV, and which ones you should plan to shuttle to. The visitor center representatives are very knowledgable, and this could save you a big headache down the road! Keep in mind that the towns of Banff and Jasper are very small mountain towns that were not designed for large vehicle travel. If you are in a camper van or micro RV you probably won’t run into much trouble, but a large motorhome or trailer will likely have difficulty maneuvering on the small in-town streets. For larger vehicles you will want to park on the outskirts of town, in a designated RV lot, and then walk into town to explore. Also, both Banff and Jasper have RV-friendly campgrounds located close (about 2 miles) to their town centers. The easiest option for exploring is to park your RV at your campsite, and then walk/bike/take the shuttle into town. We always travel with our bikes, as they often make for a great transportation option! 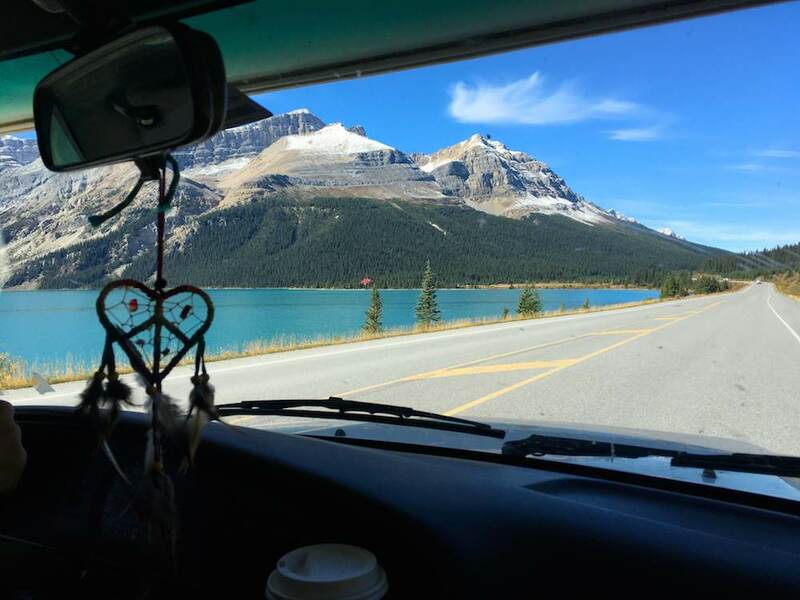 There are TONS of rented RV’s driving around Banff and Jasper. In fact, the vast majority of campers we saw were rentals. Anyone who owns a camper knows that driving it takes some getting used to, so the high volume of rented RV’s makes for some tricky driving situations, especially in crowded RV parking lots. Drive defensively! Pay special attention to rented campers (they will be obvious, with huge logos all over the vehicle), as they may not be used to driving such a large vehicle. If you are considering renting an RV for travel in Banff and Jasper you may want to look into camper rentals in Calgary or Vancouver. Give yourself a few extra days so that you have time to learn to drive your rental RV before you enter the national parks. Overall, visiting Banff and Jasper in a camper was a fantastic experience. Traveling by camper allowed us much more flexibility in our daily itinerary since we didn’t have to worry about reaching a hotel. Also, the Banff to Jasper drive up the Icefields Parkway was so much more enjoyable knowing that we could stop at any time to nap or relax. If you’re considering camper travel to Banff and Jasper we definitely recommend you go for it as Canada is an incredible vacation destination! For more information on camper travel in Banff and Jasper National Parks visit our guide to campgrounds and overnight parking. Worried about the crowds in Banff and Jasper? Check out the truth about crowds and how to handle them! Planning your own trip to Banff and Jasper National Parks? Be sure to grab Lonely Planet's beautiful, comprehensive guide book! Are you hitting the road for your own camper adventure? Check out our guide to essential motorhome accessories, why we chose our Toyota Dolphin, and the lessons we've learned after living on the road for a year!